In my house, I make it a point to make dishes using Raw Bananas, also known as Green Bananas, from time to time. As explained in this article in Livestrong.com, raw/green bananas have numerous health benefits. These are called Vazhakkai in Tamil, Balekayi in Kannada and Kache Kele in Hindi. 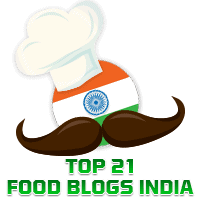 You will find elsewhere in this blog recipes for other dishes using Raw Bananas such as Swadisht Vegetable Rolls, Kele Koddel, and Vazhakkai Podimas. I liked a new dish I tried out today. This is a side dish made with raw bananas supposed to be in the Iyengar style. 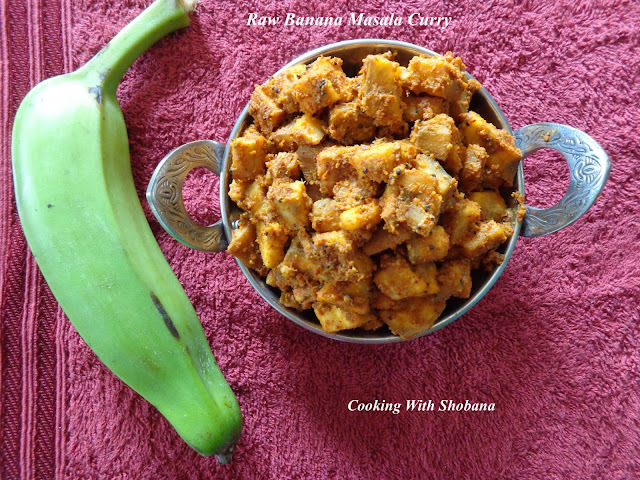 It is adapted from the YouTube video for Raw Banana Masala Curry by Right Click Creations.